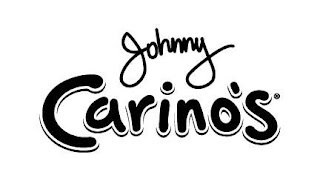 Johnny Carino's Italian restaurants recently expanded its gluten-free menu to a whopping 23 items, including items from their kid’s menu. With demand for gluten-free food options on the rise, they're introducing gluten-free versions of fan favorites like the Skilletini and Spicy Shrimp and Chicken. The new gluten-free menu has been confirmed by Analytical Food Laboratories as meeting FDA guidelines to be considered gluten-free. This extensive process took place under the guidance of Vice President of Culinary Development Chris Peitersen. “I developed the new recipes by utilizing gluten-free ingredients, consulting nutritional experts and working in conjunction with Analytical Food Laboratories to conduct the actual scientific testing of the menu items,” says Peitersen, who started with the company as a line cook at the very first Johnny Carino’s in 1995. Creating gluten-free zones in their kitchens and using separate utensils for handling gluten-free dishes are just some of the steps the Texas-based chain has taken to prepare their new gluten-free menu items. The new menu items are now available at all participating restaurants nationwide, and Johnny Carino's recently invited us out to try out some items from the menu. Michael and don't have issues with gluten, but we were very curious to see how the gluten-free items stacked up against their traditional menu items. We were pleasantly surprised! We ordered three items from the gluten-free menu, a shared bowl of soup and two salads. We opted to try a bowl of their Italian Chili. It was zesty, flavored with Italian sausage, diced tomatoes, kidney beans, diced onions, and select herbs. It came to the table garnished with parmesan cheese and fresh parsley. We really enjoyed this soup...it was just spicy enough and very hearty. As great as this was on a warm Summer evening, I can't wait to try it as the weather turns cooler in a few months. Michael opted to try the beautiful and tasty Italian Wedge Salad. This creative salad features a generous iceberg lettuce wedge topped with applewood smoked bacon, candied pecans, gorgonzola, Roma tomatoes and green apple. It came drizzled with roasted garlic ranch dressing. This salad was bursting with flavors and textures. We absolutely loved it! I selected a main dish salad from the gluten-free menu for my entree, the Honey-Pecan Crusted Salmon Salad. This salad features a wood-fired salmon fillet topped with a sweet honey-pecan topping. The salmon was served on a bed of romaine, with sun-dried tomatoes, tomato wedges, purple onion and a refreshing lemon vinaigrette. I really enjoyed the sweet-savory flavor of this salad! It was the perfect dinner for a warm Texas evening. The salmon provided a generous portion of lean protein, and the big-flavor toppings brought a great mix of flavors and textures. As much as we enjoyed the gluten-free menu items we tried, we also sampled a few items from Johnny Carino's extensive traditional menu as well. We just couldn't resist a mini order of their Sicilian Fire Sticks. These culinary firecrackers feature tomato-basil tortillas rolled around Italian sausage, chicken, bacon, roma tomatoes, jalapenos and Italian cheeses. These addictive little bites were served with a spicy marinara. We really loved this appetizer! We also decided to try one traditional pasta dish, the Lemon-Butter Shrimp Pasta.This is NOT a gluten-free item, but those with gluten sensitivities could certainly substitute gluten-free pasta. The shrimp were plump and sweet, and the lemon-butter sauce had a perfect acidic kick. The dish was topped with diced tomato and green onion. As you can see, the portion was quite generous! Disclosure: Carino's sent me a gift card so we could try their gluten-free menu items. The opinions expressed are my own. All pictures are copyrighted by Michael K. Garcia.